Innovation Pulse is a comprehensive survey to assess the current state of innovation in your business. 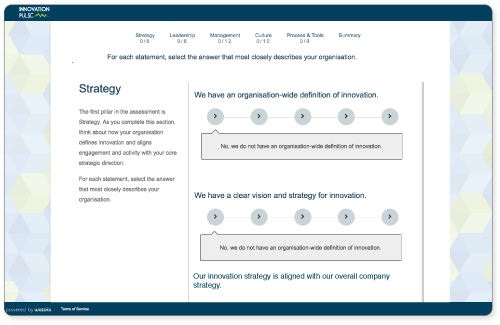 The assessment evaluates your company across the five core pillars of innovation: Strategy, Leadership, Management, Culture and Process & Tools. 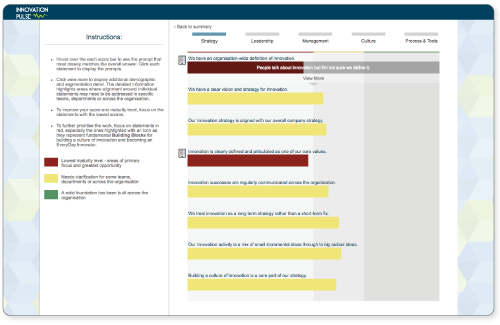 Survey questions designed to encourage an honest and full assessment of current capabilities. Detailed results to illustrate true state of current capabilities and areas of particular concern. 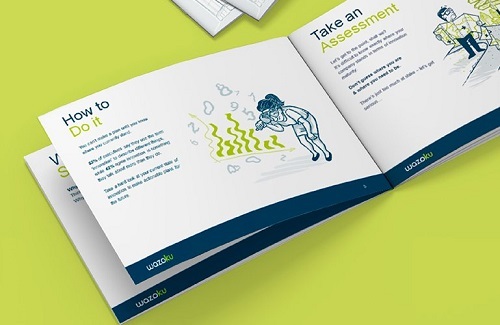 Easy assessment and participant management, with options to customise the survey for your organisation. Find out the state of innovation in your business. 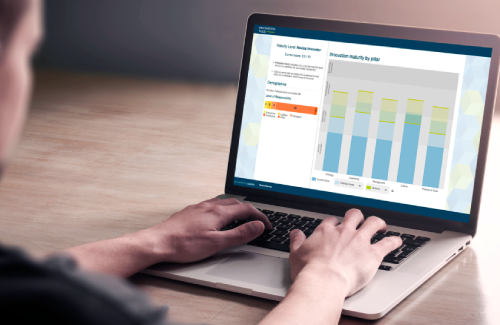 Get a demo of Innovation Pulse. Innovation Pulse is a starting point in understanding where your organisation is today and benchmarking for the future. Learn how Innovation Pulse can help you understand the current state of innovation within your business. 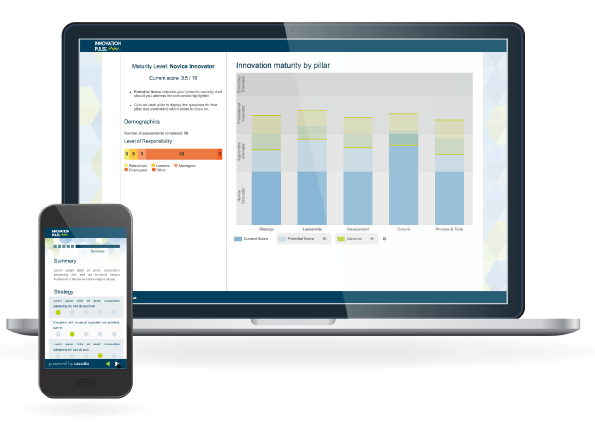 Organisations around the world use Innovation Pulse to gauge company innovation readiness. Our e-Books offer great insight for people looking for more information about company-wide innovation. Our crowdsourcing platform facilitates collaboration and idea management for your business, both internal and external.